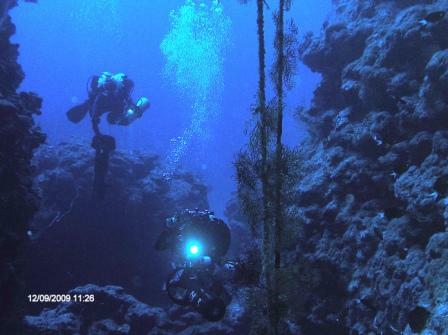 On the 19th of September 2009 a team of British, German, Dutch and Lebanese technical divers set out on the quest to dive the HMS Victoria off the coast of Lebanon. The re-named HMS Victoria was the flagship of the British fleet in the Mediterranean during that late part of the 19th century. Just off the coat of Lebanon, Admiral Tyron, at the helm of the Victoria, ordered a maneuver in coordination with the HMS Camperdown a few kilometers off the coast of Tripoli (Lebanon).Tragically, admiral Tyron had miscalculated the safe distance between the two mammoth battleships and a collision occurred. On June 22nd 1893 the HMS Camperdown struck the starboard side of the HMS Victoria, around the coal bunker area causing catastrophic damage, leading to the sinking of the Victoria approximately 5 kilometers off the shore of Tripoli, North from Beirut. Over 350 hands went down including the Admiral with the ship, in the short time it took to sink. The propellers of the Victoria were still running as the ship plunged into the deep blue, ramming the ship vertically into the sea bed, where she lies today. 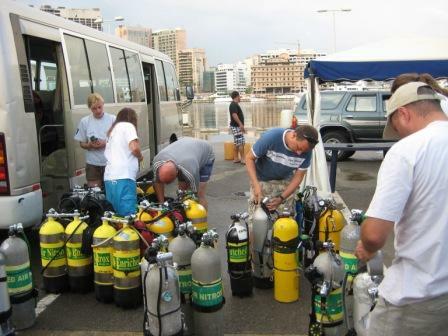 All logistics technical or otherwise for the expedition were provided and handled by Alain Sassine and Walid Noshie of The National Institute for Scuba Diving (NISD), Beirut, Lebanon. I led a team of eight divers who conducted six dives over six days. The initial dives were spent on the SS Lesbian, the Torpedo wreck and a very large Russian freighter. 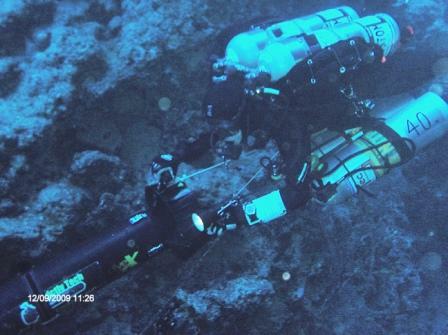 Depths varied between 45-67 meters over the initial dives, the team conducted bottom times ranging between 25 – 45 minutes with 90 -150 minute dive times, using trimix and EAN. Back gases used twin 12 and 15 litre manifolded steel cylinders with Trimix 18/35, EANx32, EANx80, EANx50 and O2 in 12 liter single aluminum cylinders. The most impressive wreck dive aside from the Victoria was the SS Lesbian. This large freighter was scuttled outside Beirut harbor in 67 meters of water. Five minutes from the Jetty and the NISD diving centre. The Victoria itself was absolutely amazing! This is one of a few wrecks to be resting bow down, at a 90 degree angle. The bottom mix for the Victoria was Trimix 10/60, the intermediate mix was Trimix 18/35, with EANx32 and EANx80 for deco. At approximately 55 meters the stern section with huge propellers and rudder come into view. This section was being constantly circled by a large school of Jacks. Neil Black, my buddy and I, continued down the middle of the deck to 112 meters. After passing the huge stern gun we continued to a lower level and saw stacks of intact crockery inside the wreck through holes in the deck. Due to respect for the dead and the Victoria being a military grave, we took nothing apart from some video footage. The wreck proved to be one of the greatest dives of my life. However, the depth of the wreck therefore requires precise planning and logistical support. Many thanks to Alain and the dive trek team and all expedition members involved. We look forward to further exploration on the Victoria next year. Leigh whats this i here about the Police ??? Glad it all went well fingers crossed ill be there next year!